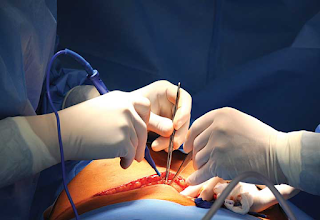 Surgical site infections (SSIs) are the foremost and frequent complications in surgery procedures, with the documented incidence in literature starting from 3% to 30%. Patient-specific risk factors are the foremost challenging to manage. By addressing the determined SSI rate as a function of eight specific “risk points” to manage among the operative method (preoperative, intraoperative, postoperative, discharge), the reduction in SSI incidence will be achieved. · Non-modifiable risk factors: advanced age, pre-existing conditions such as cancer, past medical interventions (e.g., radiation), and personal history/propensity for actual infection. · Modifiable risk factors: diabetes mellitus (short-term normalization of blood glucose values is more important than control of HgB A1c), obesity, alcohol abuse, tobacco abuse (current or history of), serum albumin (below 3.5 mg/dL: normal 3.5–5.0 mg/dL), serum bilirubin (total: below 1.0 mg/dL), immunosuppression. · During surgical planning, the patient can be preoperatively optimized, including patient education about SSIs and measures for prevention. It is crucial to individualize patient and caregiver education utilizing validated techniques that match their learning style, including techniques such as teachback, and written instruction. 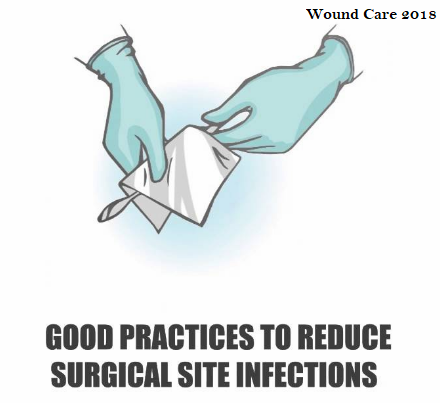 Topics should include, at a minimum, hand hygiene and skin care in the surgical area preoperatively (no shaving or scrubbing/abrading of the skin, etc). · Is the surgical procedure elective or urgent/emergent? Assessment and case preparation will vary based on this status. · For elective cases, many of the preoperative modifiable risk factors can be optimized, and the patient has the opportunity to receive adequate education regarding SSI prevention and any preoperative instructions specific to the condition. In cases of urgent or emergent procedures, especially those involving gross contamination, the range of interventions for prevention of SSIs becomes more limited. · Preoperative skin preparation should be standardized, including orders for patient skin cleansing and hair removal (it is recommended that clipping of the operative site occur in the preoperative area versus the OR). · EHR should automatically prompt an order for skin cleansing in preoperative/holding for patients who are at high risk for SSIs or those with a BMI higher than 30. · Maintenance of normothermia should begin preoperatively. · Surgical prep should be standardized regarding the type of preparatory agent and who is allowed to perform the preparation. · Use a weight-based antibiotic dosing protocol within one hour of the first incision, and have the EHR prompt for redosing in the three- to four-hour range, as determined by the individual facility. · Surgical technique, instrument handling, and teamwork: double glove, use a wound defender, standardize the setup and additionally the instrumentation set used for clean versus “dirty” elements of the surgical methodology, establish standardized closing methodology along with pre-closure hypodermic tissue irrigation with a minimum of 2L of NS. · Continue aggressive monitoring and care of blood glucose and maintenance of normothermia. · Apply a standardized antimicrobial dressing (supported by ACS, although the National Guideline Clearinghouse specifically recommends against standard application of antimicrobial dressing for incisions left to close by primary intention for reasons of microbial resistance and cost). · Postoperative care management should include reinforcement of hygiene practices, postoperative teaching, and incision care instructions. · Administer a high fraction of inspired oxygen (>80%) after surgery (15L nonrebreather mask for 4 hours). · Also standardize who will remove the operative dressing because the initial incision assessment is crucial to identification of complications. The first dressing is ideally removed by the primary service providers for this reason. · Initiate protocol for contaminated surgical wounds (National Guideline Clearinghouse states no supporting proof for collaborating wound specialist in care of patient with non-healing surgical wound, however can suggest wound specialist involvement for advanced wound therapies like negative pressure wound therapy [NPWT] and presence of ostomies or fistulas). · This involves incision or wound management and in progress patient education as listed within the earlier phases, with inflated emphasis on consecutive discharge day events (e.g., day one out of the hospital, expect certain events, observe for specific changes that might probably indicate infection, and when to give notice provider). · Have nurses make a follow-up phone call to patients within one week after discharge from the hospital. · Evaluate length of stay for any patient with postoperative complications, including need for reoperation and any incisional complications or wound occurrence.